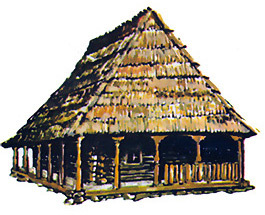 The rustic architecture, which is the most complete, the most expressive creation of the old rural societies, reveals the way of living, the technical, social and spiritual acts of these societies. 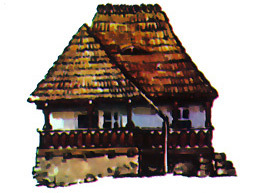 Building itself as a sign of human presence in nature, as an expression of man’s inner universe, the architecture shows the individuality of the community, revealing simultaneously its social command, the technical and material possibilities and last, but not least, its degree of artistic sensitivity. 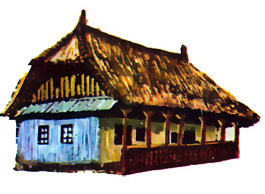 Although some houses for sale nowadays carry the same style and architecture, these authentic creations still hold their cultural and historical value. 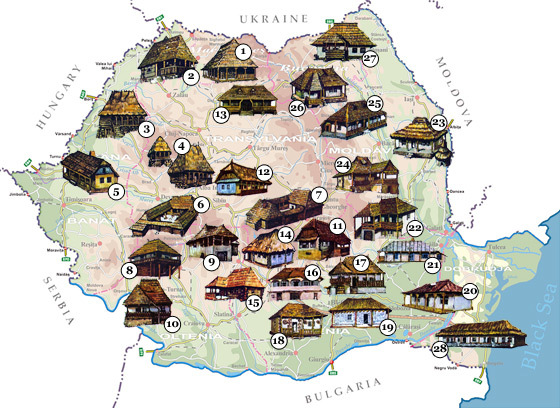 Some of these may still be found in many places in Romania. 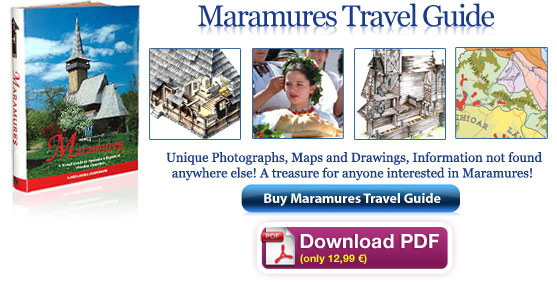 They never fail to amaze visitors and guests. 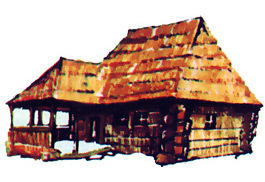 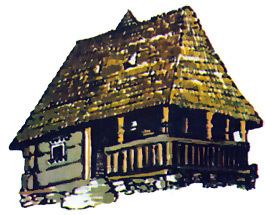 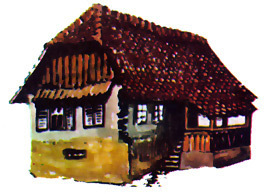 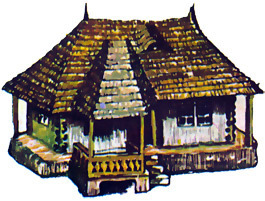 Section of a rustic traditional house from Maramures. 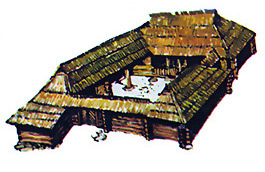 Presenting significant clues to outline the frame of the daily life and the way of providing a lasting and permanent shelter (characteristic for the sedentary populations), the rustic homes are looked upon as a research material, particularly interesting and useful for archaeologists, historians, ethnographers and architects. 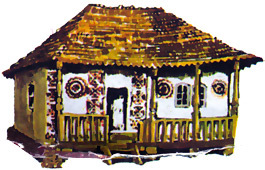 The essential characteristics of the Romanian rustic architecture are the functionality, the adequacy of the purpose and of the accomplishing means, the measure and the harmony in settling the décor and the proportions, the expressivity, the integration in the scenery. 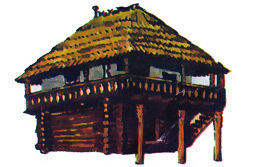 All of these give unity to the whole thing, personalizing at the same time the achievements of our rustic architecture. 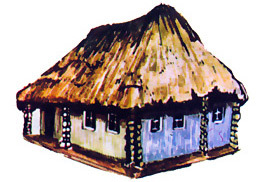 We mention below several aspects of general order that can be seen in all the regions of the country (with some exceptions, of course, exceptions determined by the local social-economical conditions). 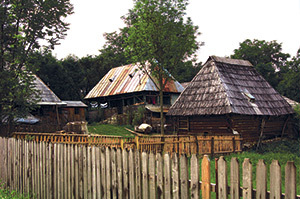 A traditional farmyard – Maramures. 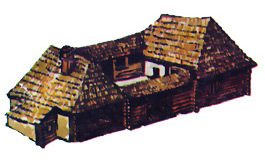 On the right is the barn built of logs and still with a shingle roof. 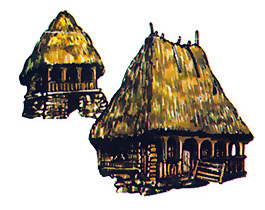 On the left is the small wood shed and beside it a secondary dwelling. 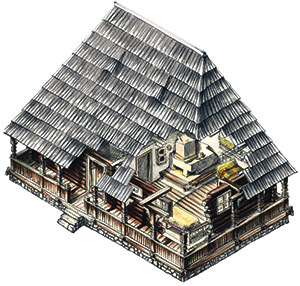 The first thing that is pointed out is the isolated position of the house, its position towards the other annexed buildings from the house-hold, the ordering in the scheme of the living rooms which are grouped along an axe that shows the orientation direction of the windows and the accesses of the house (East, South, South-East). 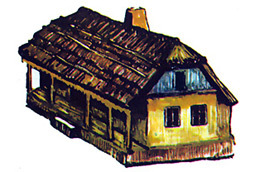 The accomplishing uniformity of the homes may be found in the structure uniformity of the dwelling organization, in forms specific to any kind of plan. 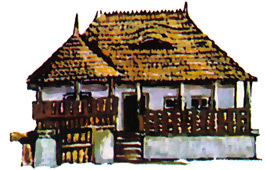 The privacy and the warmth of the inner rooms (particularities that are defining for the environment of the rustic houses all over the country) can be achieved through a various and rich inventory of textiles, furniture and ceramics, paintings on wood and glass, rustic costumes, items for home usage. 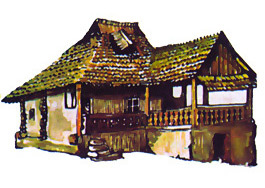 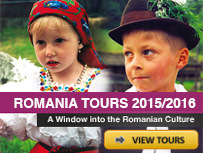 The reduced height of the rooms and the ceilings with visible girders are also specific to Romanian rustic houses. 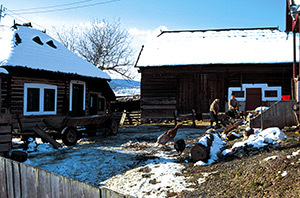 A traditional farmyard – Bucovina. 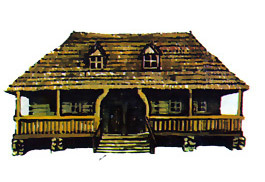 Around the yard are placed the summer kitchen, the barn and stable, and the main house. 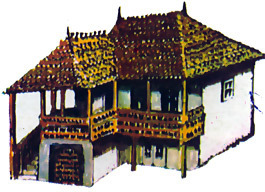 The rooms, so well balanced and harmonious, aren’t isolated at all from the outside, on the contrary, because of the verandah they are always opened to it. 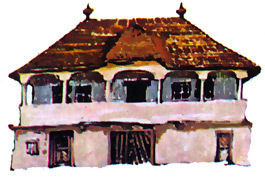 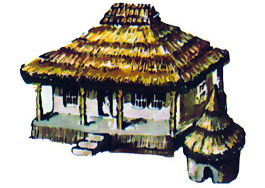 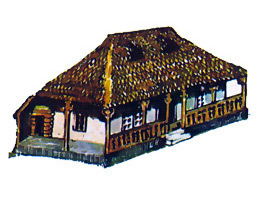 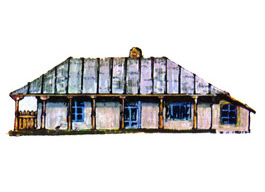 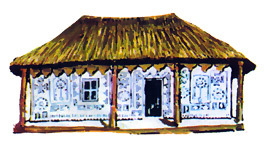 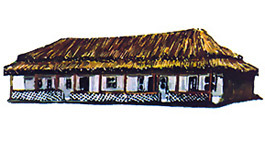 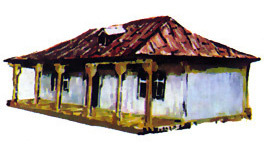 Original architecture element and specific to Romanian rustic architecture, the verandah (prispa) is low or high, situated on one side of the house or on _ of house, with or without a balcony, it dominates and determines the position of the facades, assuring the fluency of the inside and outside spaces (of the house). 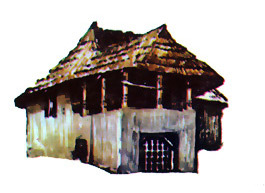 Using natural resources-their joining and structure way together with the pure geometric forms of the volume of the walls and roofs, the subtle dosage of the shadow and the light, the harmonic chromatics- all these characteristics are elements in tight relationship with the nature. 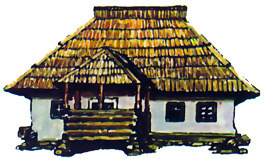 The houses, the house-holds, situated at a certain distance from the road, represent interference points of the natural places with those created by man; they are elements that determined the peasant to make a change in the nature through his creative intervention. 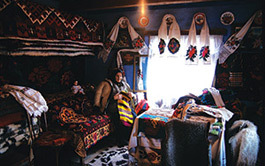 The main room of a traditional house from Bucovina. 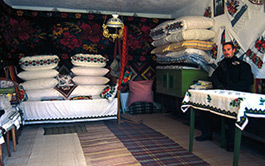 The main room of a traditional house from Maramures. 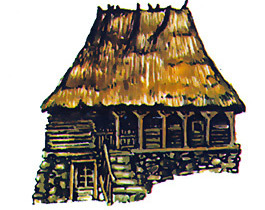 I live in Nikolaevsk, Alaska and would love to build a simple Romanian style home.